Islamist militants gunned down a Christian priest in Egypt’s Sinai Peninsula as he was fixing his car, the Interior Ministry and the Coptic Orthodox Church said on Thursday. Islamic State claimed responsibility for the attack and threatened more attacks in the future. Father Rafael Moussa of the Mar Girgis church in Arish, capital of the North Sinai province, was getting his car fixed when the gunmen shot him, the ministry said in a statement. He was on his way back from prayer, the church said. “Islamic State soldiers were able to successfully target the priest Moussa Azmi, known as Rafael, who fights Islam,” the group said in a statement. 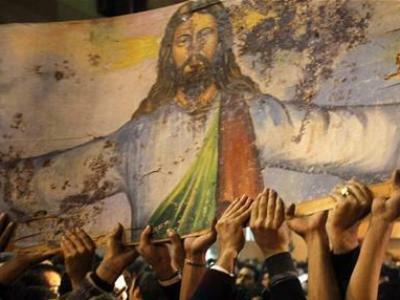 Orthodox Copts make up about 10 percent of Egypt’s 90 million people and are the Middle East’s biggest Christian community. They have long complained of discrimination. In a separate attack in Arish, one policeman was killed and three wounded when an improvised bomb exploded as their convoy drove near a police station, the Interior Ministry said. Islamic State also claimed responsibility for that attack. Egypt is battling an insurgency that gained pace after its military overthrew President Mohamed Mursi of the Muslim Brotherhood, Egypt’s oldest Islamist movement, in mid-2013 following mass protests against his rule. Thursday is the third anniversary of the mass protests which started on June 30, 2013 and led to Mursi’s ouster. The insurgency, mounted by Islamic State’s Egyptian branch, Sinai Province, has killed hundreds of soldiers and police and has started to attack Western targets within the country. President Abdel Fattah al-Sisi, the former military chief who led Mursi’s ouster, describes Islamist militancy as an existential threat to Egypt, an ally of the United States. Islamic State controls large parts of Iraq and Syria and has a presence in Libya, which borders Egypt.